Flames rise towards the sky. And rises there in a shrill cry. See, how soon, how early changed the tide! He told: So What? Why to care? How soon they turned behind! How soon their eyes turned blind! Hasan, Husain, Zahra, and her spouse. To enter the House permission he had to obtain. All knew the honour and awe of the house he held. 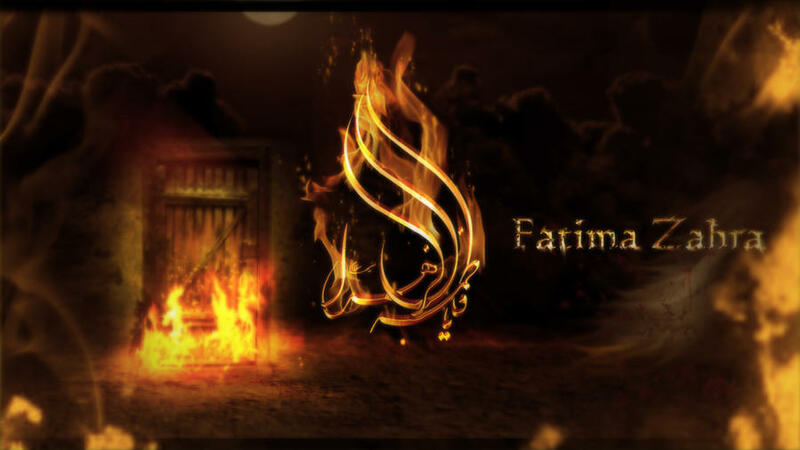 It is the glory of Zahra made the flames effulgent. The greatness and glory of Zahra, impossible to deter. They are burning in the graves of enemies distinguished. Where the tyrants can escape from the tight keep? What a lie they attributed the Prophet. We the group of Prophets heritage don’t hold. Why John to Zechariahs, Solomon & David the heritage sought? To them permitted, to Zahra prohibited ? Under this false pretext FADAK they confiscated. Her words are still valid and hold admonition. She expresses her sorrow upon their return to ignorance. She returned home, withdrew from public appearance. After the death of the Prophet within minutes. Death come to her as the only relief. For the safety of her dead body this is a measure taken. Could there be a tyranny of such extensive ground? Why at all to the grief, to tears she must be bound? Then why the affront to her face? Because her love is the Faith’s pin. In an unheard voice, of right or wrong there is no choice. Doesn’t this bring the tyrants to the sight.